Hybrid Jazz From Trish Hennessey - with Fred Hughes! 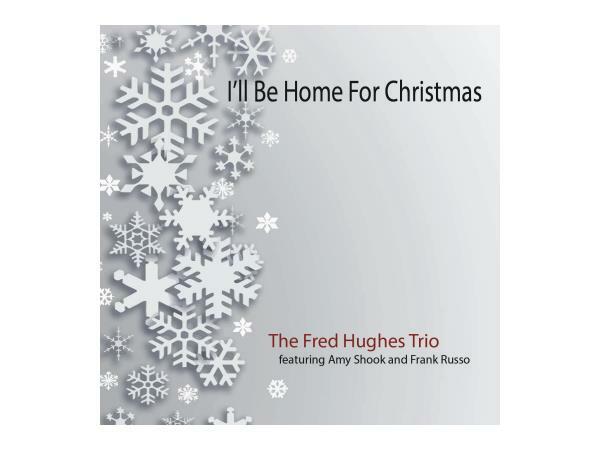 The Fred Hughes Trio (with Amy Shook and Frank Russo) has a new CD on the horizon: full of holiday sounds! This is a return visit from the beautifully talented Fred Hughes - and the reason for our get-together now will make you smile (hopefully!) Fred's "Love Letters" project has done really well - but NOW? It's time for an early peek at the holiday season - with Fred's soon-to-be-released "I'll Be Home for Christmas!" Yes, you heard me :) We'll be enjoying some tunes with maybe a hot toddy in The Chat Room. Hah! The background that Fred has is deeply impressive. A pianist for decades, he showed strong promise as both a keyboard master and a conductor - in his 20's. In his Pennsylvania circles, he was known as an artist to watch. Involved in both the First Army Band in Maryland and the Eighth Army Band in Seoul, Korea, that reputation became etched in stone. In 1981, Fred formed a Jazz group called "Just Friends" - playing to sold-out houses throughout the Korean peninsula. At the same time, he served with the MBC Pops Orchestra in Seoul. Returning to Lancaster, PA, the early roots of his trio were formed - then he joined the U.S. Army's touring ensemble, The Jazz Ambassadors. He was able to travel to all fifty states - and overseas, too. Amazing opportunities have found their way to Fred through the years! He has performed with orchestras and symphonies all over the globe; he has worked with Arturo Sandoval, Roy Hargrove, Toots Thielemans, and has been music director for Three Mo' Tenors. Fred has found the time to become an author, educator, and those conducting skills never got rusty! "I'll Be Home For Christmas" is his 7th release - and he shares the joy of the upcoming season with Bassist Amy Shook and Drummer Frank Russo. These three have been playing together for a while - and their chemistry is delightful. You'll FEEL it!